In a highly controversial move, the Workers’​ Compensation Insurance Rating Bureau (WCIRB) continues to move forward with proposed changes to class code 8868, the current classification used to represent Applied Behavior Analysis (ABA) agencies working with children with Autism. The new proposed classification for ABA is 8874—Special Educational Services for Children and Youth. This decision has been met with opposition from many employers who currently provide services to the developmentally disabled and rely on government programs for funding. Employers argue that the proposed rate increases would limit their ability to raise funds in order to pay for increased workers’ compensation premiums. The counter offered by the Bureau pertains to the anticipated reduction in experience modification factors, which they believe should level out the proposed rate increase of 25 percent year-to-year (for the next 8 years). Unfortunately, this only impacts those agencies that currently qualify for experience rating, which many smaller ABA agencies do not. The proposed increase would be a significant hurdle for new agencies looking to enter into the marketplace as the expense of workers’ compensation could be too cost prohibitive. Limit the relative increase in pure premium to 10 percent per year (in lieu of the proposed 25 percent). Delay the implementation date for the changes to new and renewal policies with anniversary dates on or after July 1, 2019. In a recent call with the Bureau, a representative indicated that they intend to move forward with the January 1, 2019 date. More to follow as this continues to develop. If you’d like additional information and a copy of the webinar slides presented by the WCIRB, please feel free to contact me directly. Lyeng leads Bolton’s Applied Behavior Analysis (ABA) practice and has the honor of representing over 25 ABA agencies in CA and nationwide. She is the conduit between her clients and the insurance marketplace working to educate insurance carriers about the unique needs of this fast-growing and often misunderstood industry. With a focused practice in ABA, she has been able to leverage her experience to establish exclusive market access with key carriers for ABA. 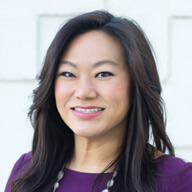 Lyeng’s engagement with ABA trade associations, such as, the California Consortium of Behavior Analyst (CCBA), the Autism Business Association (ABA) and the Latino Association of Behavior Analysts (LABA) allows her to stay up-to-date with the needs of her clients. She has spoken at various events regarding regulatory issues affecting Workers Compensation and strategies to ensure continued profitability for growing agencies. She is a regular sponsor for the Council of Autism Service Providers (CASP) and the Ohio Association for Behavior Analysis (OHABA) and attends CalABA annually.